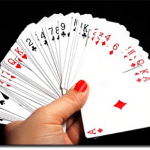 Thinking about playing blackjack online but not sure where to start? Thankfully the leading Internet casinos allow players to demo games for free, so you can experience all that virtual 21 has to offer before committing to any real money deposits. Note: As of September 2017, Australian residents are banned from playing at online casinos. The information in this article is for international readers only. 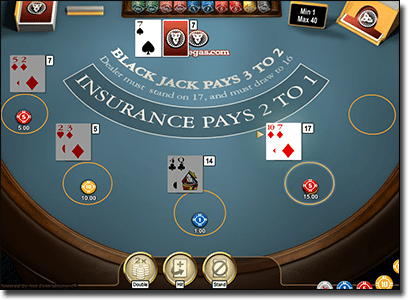 Free-play (or practice play) blackjack is where an online casino allows you to sample its blackjack games in demo mode without requiring a real money deposit. The benefit of this is that you can familiarise yourself with different game variations, hone in on your blackjack skills and gain confidence with online play before committing yourself to wager any of your own cash. To try practice-play blackjack, all you need to do is head to a reputable online casino like the ones recommended on our site, find the blackjack game you want to play and select ‘try game’ or ‘play for free.’ Most games are now browser-based and will load instantly, allowing you to enjoy free-play blackjack without even having to register for an account. You’ll enjoy all the same features of the game as real money players, but can play at a recreational pace and without any risk to your wallet. Unfortunately the old saying that you can’t get something for nothing reigns true, and playing blackjack in demo mode won’t earn you any real cash or credits. Once you’ve tried some free-play games and had a preview of the possible winnings you could have claimed, you can always move on to sign up for an account and make a deposit to play for real money. Our recommended blackjack sites offer all kinds of great welcome bonuses that you can use to increase your chances of winning without going over your budget. Online blackjack games are also much more affordable than playing in a real life casino. Can I play live dealer blackjack in practice mode? Live dealer blackjack is hosted by real human croupiers from glamorous casino studios and streamed to your computer in real time using high-def video, so given the large expenses associated with running a live dealer game, unfortunately live blackjack is unable to be sampled for free. However, minimum bets on live dealer blackjack are much more affordable than playing in a land based casino, so you can try live dealer blackjack without too much risk to your wallet. 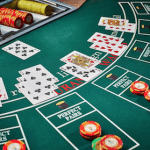 The following casinos get a big thumbs up from us for their range of blackjack game variants, welcome bonuses and secure deposit options available in a range of international currencies. Each of these sites is protected by a minimum of 128 Bit SSL security to ensure complete player safety at all times. G’Day Casino – when depositing money for the first time at G’day Casino you’ll receive a 100% match on your first deposit, so what better place to start your online blackjack adventure? Royal Vegas – offers a huge selection of Microgaming blackjack variants, with free-play games accessible over desktop or mobile using the browser based casino or premium downloadable software. Guts casino – there’s close to 20 blackjack variants available at Guts.com, with games from leading software developers like NetEnt, Microgaming, BetSoft, Play’n Go and Evolution Gaming. Keen to try blackjack in free-play mode before committing to make a real money wager? Follow our links above to head to the leading online 21 sites and you’ll also enjoy some sweet new player welcome bonuses upon signing up.